I recently volunteered for a debate sponsored by an XRPChat Moderator who goes by the avatar name of “Mercury.” He proposed that I debate another XRPChat member with the avatar name “TikRp.” The subject? Whether a software tool called “Pathshuffle” would be good for Ripple. Pathshuffle is a creative experiment and piece of software that was masterminded by a graduate student named Pedro Moreno-Sanchez, who happened to be an intern researcher at Ripple in 2016 under the supervision of Stefan Thomas. 1 He engaged in an academic exercise, at first to determine if he could unmask the wallets involved in transactions on the Ripple network, and then to determine if he could successfully make a payment anonymous – i.e., there would be no way to track the true origin of the payment. He did it by “mixing” the payment through multiple rounds of transfers between XRP wallets. In theory, he created a way for the payer to remain anonymous, and yet still manage to send a payment to a recipient at a specific point in time. Is This a Good Tool for Ripple to Use? The subject of my debate with TikRp was one where we debated whether this tool, if adopted somehow by Ripple, would be good for the company and XRP, or whether it would be bad for Ripple and XRP. I know – it sounds fairly wide-ranging, right? And the debate surely was that! Originally slated for a half hour, TikRp and I argued about the topic for over three hours before Mercury demanded our closing arguments. Banks. Financial Institutions. Forex Traders. This is the target market for XRP, not end-users wishing to use XRP on a new version of the Silk Road. Because of this, pure anonymity is definitely not what XRP needs. In fact, if the company advised anybody to use Pathshuffle on an official basis, it might raise distracting red flags from governmental regulatory authorities. Currently, Ripple keeps banks’ transactions private using a structural method that has been described in its marketing material. Basically, a bank can create any number of accounts on a Ripple network, but the linkage to accounts and their balances are completely obscured for any third party that can see the transactions on the network, because the matching account(s) at the bank are safely secured behind the bank’s firewall. 2 Thus, a bank’s client information is kept completely private. Just because a transaction is “private” doesn’t mean governmental authorities can’t access the information if necessary for law-enforcement purposes. No matter what kind of ledger a bank uses – distributed or otherwise – if the government issues a subpoena to a bank, the bank must turn over the requested information, subject to the applicable laws of the country. In that case, Ripple is merely an un-involved third party who’s only role was to originally create the network and its token – XRP. Anonymity is different. That means that no matter the reason, it is impossible for any party to determine with any degree of accuracy who is the source for an individual payment. 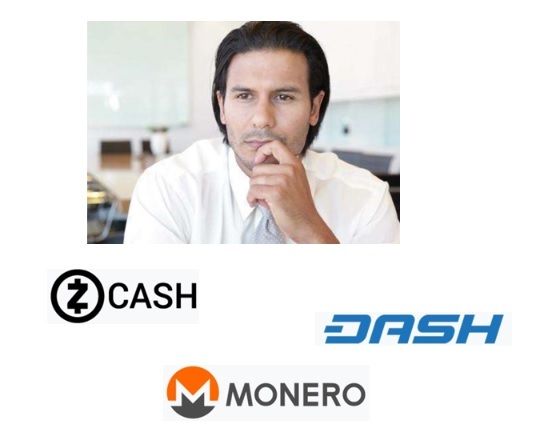 This is the “holy grail” for some crypto-currencies, such as Dash, Monero and Zcash, whose combined market capitalization is 2.5 billion dollars. 3 As you can see from their combined market capitalization, there is a strong demand in the world for being able to generate truly anonymous transactions. But these examples were just red herrings for my opponent – these are examples where the payers would definitely like privacy from prying eyes. However, most of them would probably agree that law enforcement, if really necessary, has a right to find out about them. That’s the key difference between anonymity and privacy. Law enforcement, in a civilized society, has the right to ask about a payment, where it originated, and who made it. They’ve had this right since the Romans first taxed the populace two thousand years ago. It’s only a matter of time before the governments of the world put a stop to truly anonymous crypto-currency networks, and I want to see Ripple on the right side of history. XRP supports privacy, but true payment anonymity is something that has no place in the suite of software from a company that has made a point of working with regulatory authorities, central banks, standards organizations, charities, and other institutions of civilized society.